Vintage Crime/Black Lizard, 9780307950499, 384pp. In a daring operation, two crooks-for-hire rob an Atlantic City casino. But their heist goes horribly wrong, and only one of them makes it out alive. Now he's on the run with half a million dollars vacuum-packed into a bundle the size of a briefcase. Little does he know it's rigged with explosives. 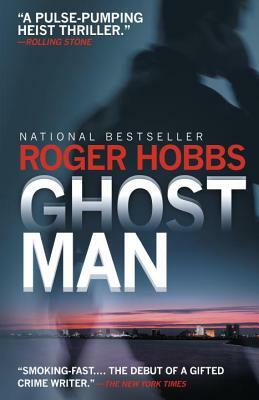 Roger Hobbs was the youngest-ever winner of the CWA Ian Fleming Steel Dagger Award and is a recipient of the Strand Critics Award for Best First Novel and the Maltese Falcon Prize. Born in 1988, Hobbs graduated from Reed College in Portland. Mr. Hobbs died in 2016.